The completely original new musical Something Rotten!, directed and choreographed by Tony Award winner Casey Nicholaw (The Book of Mormon, Aladdin), with music and lyrics by Grammy Award winner and Tony Award nominee Wayne Kirkpatrick and Golden Globe Award and Tony Award nominee Karey Kirkpatrick and a book by Tony Award nominees Karey Kirkpatrick and best-selling author John O’Farrell, will make its Atlanta premiere at the Fox Theatre from April 17-22 as part of Fifth Third Bank Broadway in Atlanta’s 2017/2018 season. Tickets start at $33.50 and are available by visiting FoxTheatre.org, by calling 1-855-285-8499 or visiting the Fox Theatre Box Office (660 Peachtree St NE, Atlanta, GA 30308). Group orders of 10 or more may be placed by calling 404-881-2000. Performance schedule, prices and cast are subject to change without notice. For more information, please visit www.RottenBroadway.com or www.BroadwayInAtlanta.com. Ticket inventory is limited. Nominated for ten Tony Awards, including Best Musical, Something Rotten! comes to Atlanta with three principal cast members direct from Broadway: Rob McClure as Nick Bottom, Adam Pascal as Shakespeare and Josh Grisetti as Nigel Bottom. The touring cast also features Maggie Lakis as Bea, Blake Hammond as Nostradamus, Autumn Hurlbert as Portia, Scott Cote as Brother Jeremiah and Jeff Brooks as Shylock. For more information, please visit www.RottenBroadway.com. Follow Something Rotten! 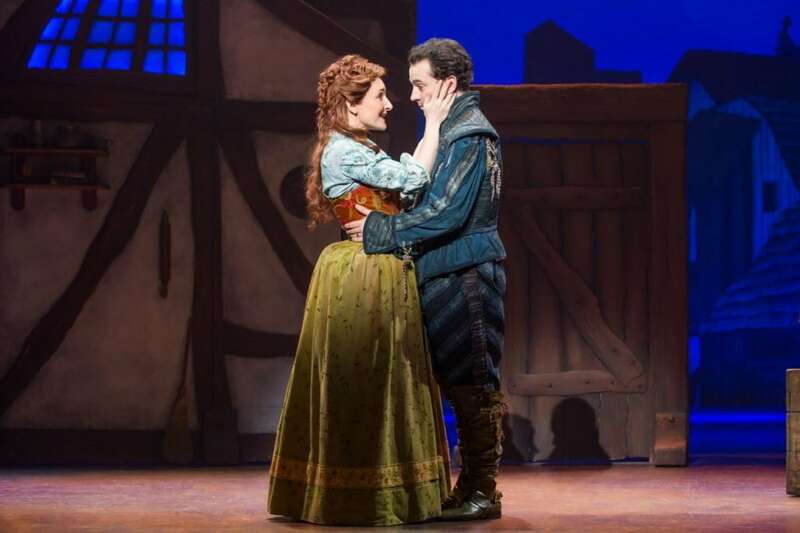 on Twitter: @RottenBroadway, Facebook, and Instagram. Southern Family Fun has 2 Tickets to Something Rotten! at the Fox Theatre for Tuesday, April 17th at 7:30 p.m. performance. Please enter via Rafflecopter below. Must be at least 18 years of age. Atlanta residents only within 150+ mile radius. You have until April 12, 2018 at 12:00 AM to enter this contest. For your convenience, we have set up Rafflecopter to help us manage the whole process smoothly. To be eligible for this giveaway you must be a subscriber to Southern Family Fun newsletter. Good luck!